"You can create anything you imagine." Paramount Animation has released another full-length trailer for the animated adventure movie Wonder Park taking us to a magical amusement park called Wonderland. We've seen a teaser trailer and another official trailer before this, and it looks like a fun time even though I'm still not sure what the story is. Does she dream all of this up or is it real? This still seems like a mash-up of Zootopia and Tomorrowland (and RollerCoaster Tycoon), with everything being so imaginative, plus the talking animals. Brianna Denski voices June, and the primary cast includes Jennifer Garner, Matthew Broderick, John Oliver, Mila Kunis, Kenan Thompson, Ken Jeong, Norbert Leo Butz, and Ken Hudson Campbell. I like the way they highlight the different rides at the end. This is going to be wild ride. You can still watch the teaser trailer for Paramount's Wonder Park here, or the first full-length trailer. A story of a girl, some animals, and a magic amusement park. 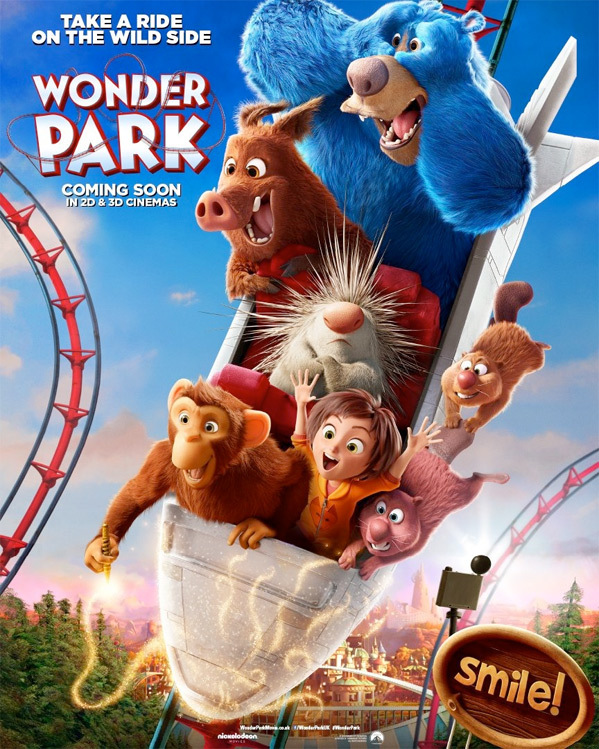 Paramount Animation's Wonder Park tells the story of a magnificent amusement park where the imagination of a wildly creative girl named June (Brianna Denski) comes alive. They still haven't officially announced a director's name for Wonder Park, oddly enough. The screenplay is written by Josh Appelbaum & André Nemec; from a story by Robert Gordon and Josh Appelbaum & André Nemec. This is made by animation studio Paramount Animation (The Little Prince, The SpongeBob Movie: Sponge Out of Water, Anomalisa). Paramount will release Wonder Park in theaters everywhere starting on March 15th coming up soon. Looking any good? Who's excited to see this?